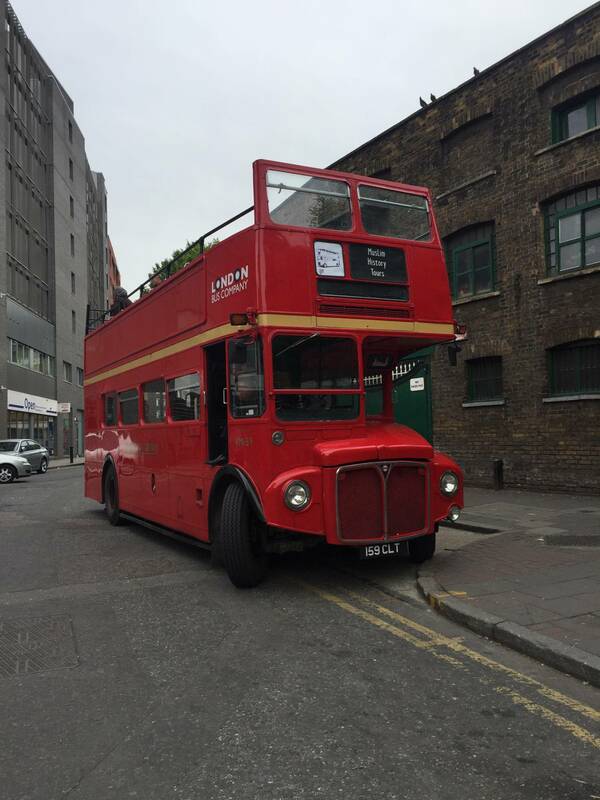 Enjoy a 4-hour sightseeing bus tour with live commentary and guided hop offs! Available for families & friends for that special treat maybe for Eid, anniversary, birthday. Schools/ educational institutions, professional groups - all parties catered for! For the summer season it becomes extremely busy with private bookings and we, therefore, ask customers to plan ahead. 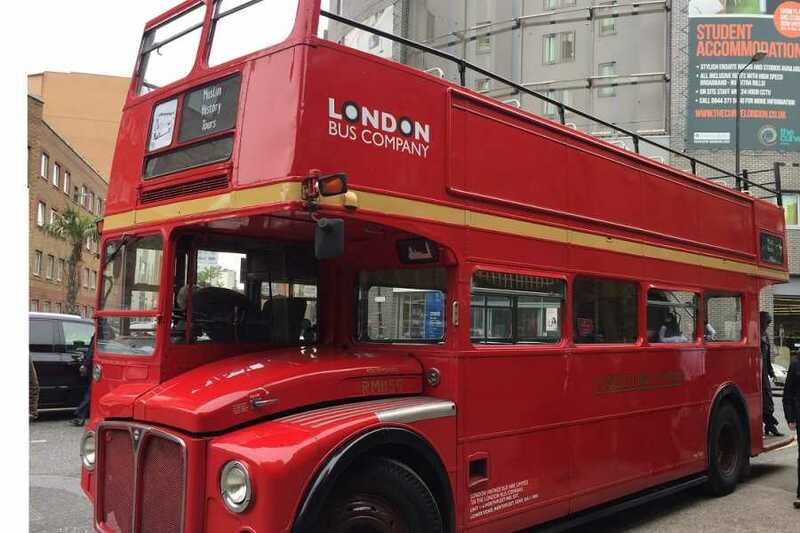 "Really enjoyed Muslim History Bus Tour"
"Good way to inform the public of Islamic History in Britain"
"Contributions Muslim Have made not acknowledged"
"Muslim crescent in Trafalgar Square unexpected!" 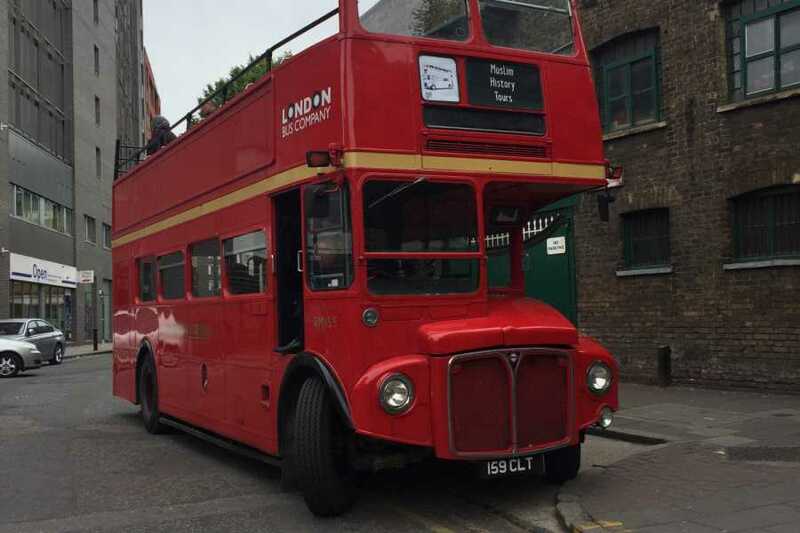 "Coffee shop and Horse Guards part was excellent"
This bus tour only runs by private group booking. 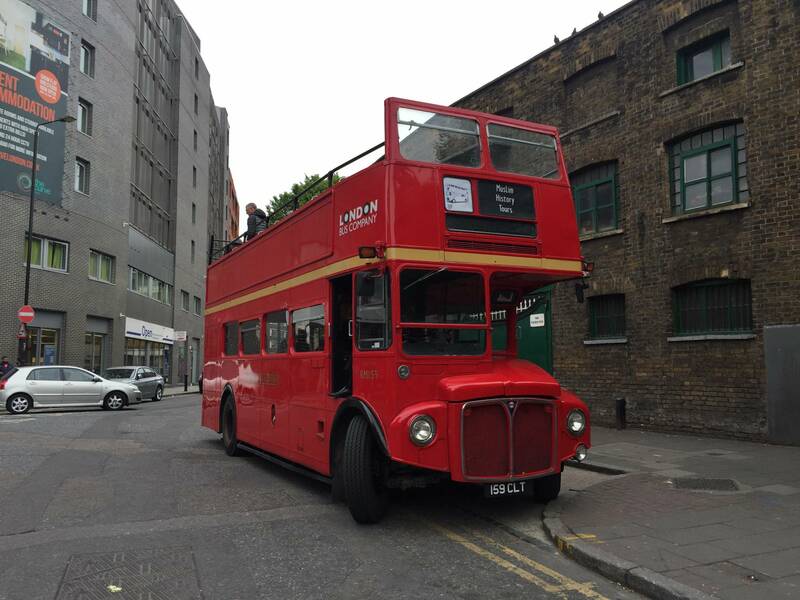 Pick-up and return can be from anywhere in London and the surrounding areas. Cost is dependent upon pick up and drop off location. You can explore London from a different viewpoint! See famous landmarks and secret Muslim spots you never knew existed! Discover the tales behind the different landmarks. 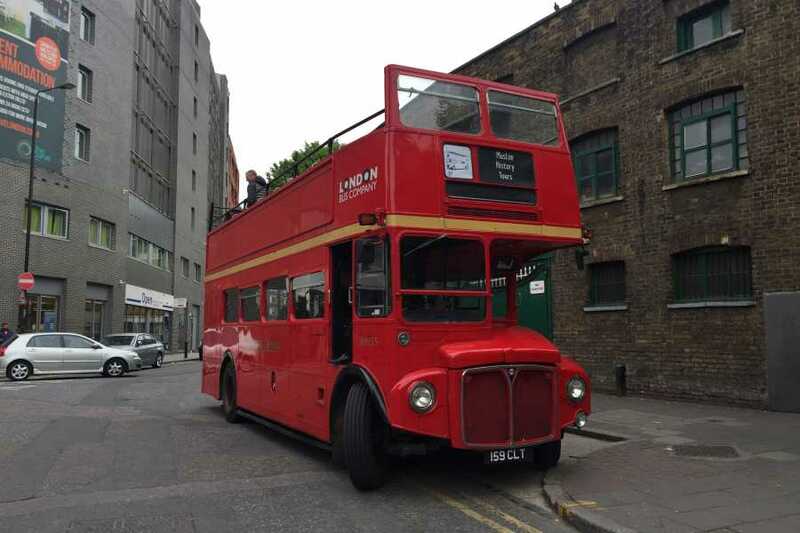 This is a round trip on board an open top sightseeing bus! See Abdullah Quilliam's last house - The English convert who established UK's first Mosque! Do you believe that Muslim contribution to science stopped after the loss of Muslim Spain? Discover how it in reality it continued and where in UK! Did you know there once was a country called Islamistan? Even more interesting is that it was an English convert to Islam who was asked to be the head of the country! But who was he and where would he hold meetings? Who was the Muslim William Shakesphere inherited? Did you know there were Muslims praying in London in the year 1600? Who were these Muslims? What were they doing in London at the time? Were you aware there was a Mosque in London in 1895? Where was it? Who established it? We take you to the site! 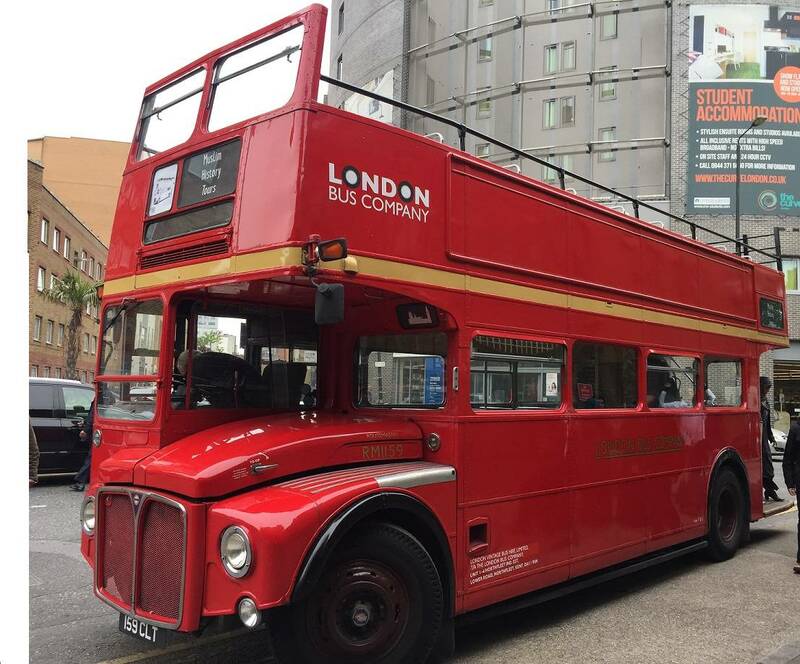 The sightseeing bus tour is a circular route around the City of London and Central London which take in Tower Bridge, London Bridge, Tower of London, London Eye, Trafalgar Square, Whitehall and many more locations with secret hidden gems on the guided hop offs!